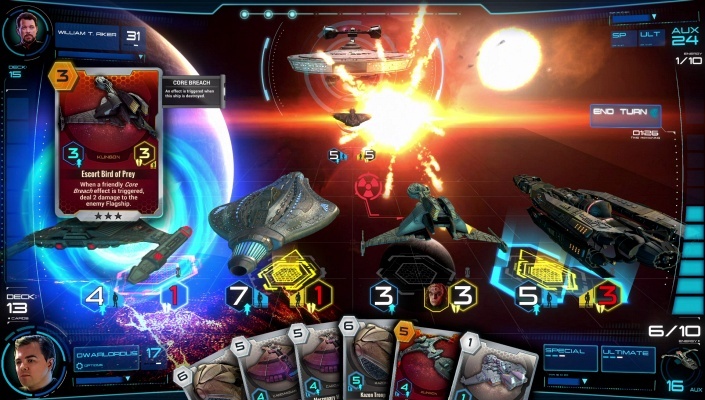 Star Trek Adversaries , the first free-to-play online collectible card video game set in the vast Star Trek universe. 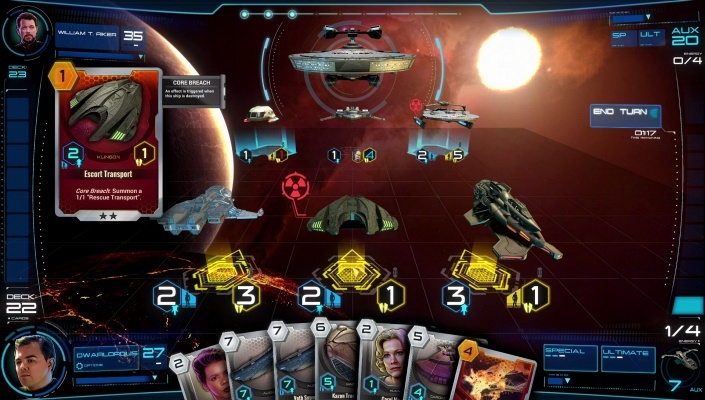 Featuring more than 50 fully-rendered and customizable 3-D starships and 140-plus iconic crewmembers - that's 300 ships and crew from the Prime timeline, and 24 collectible flagships around which to build your decks - Adversaries puts players on the front lines of galactic combat. 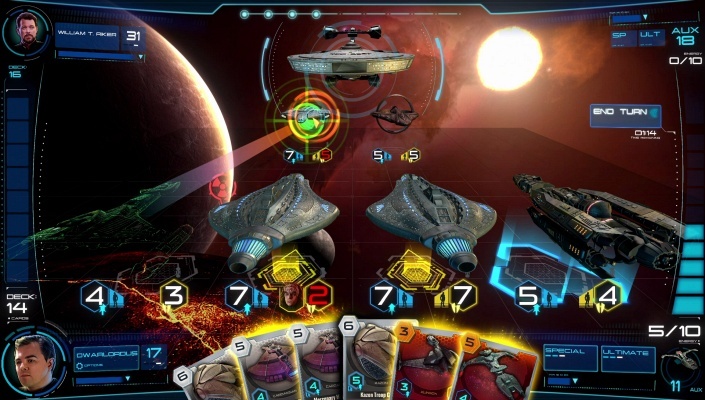 With multiplayer and AI campaigns, ranked matches, draft play, and the chance to battle your friends (and foes) across the galaxy, Adversaries boldly takes the CCG genre into the future. - Compete with friends and family in this free to play online card game. Test your skills and rank up on the global leaderboard. Win prizes as you climb the ladder to glory. 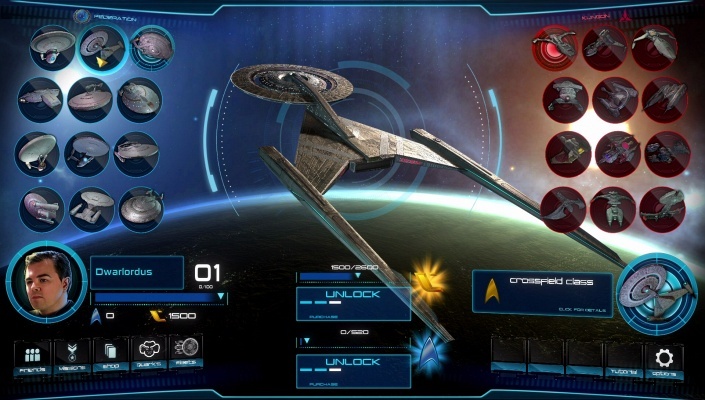 - Challenge yourself against the greatest villains in the Star Trek universe as you battle your way through the single player campaign. Level up and collect valuable rewards to help you along your journey. - Drawing from the entire Star Trek prime Universe , Adversaries contains more than 300 of your favorite starships and crew members. From Star Trek: The Original Series to Star Trek: Discovery, all of your favorites. 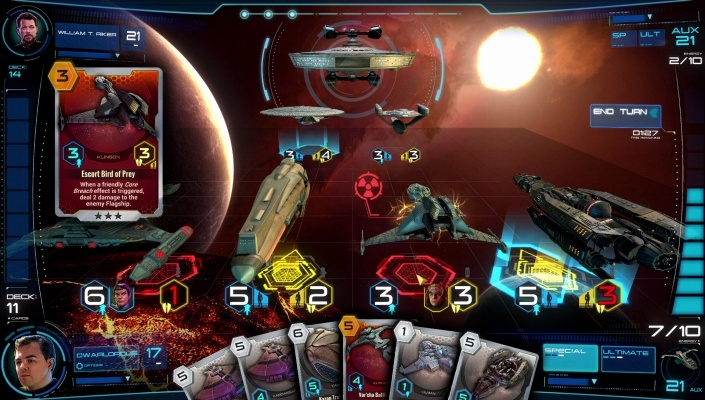 Each deck in Star Trek Adversaries begins with a Flagship. With unique abilities and core cards to bolster your deck, your Flagship is becomes quite the force. The Galaxy Class, Constitution Class, K'vort Bird of Prey and the dreaded Klingon Ship of the Dead (along with 20 other ships) all await your command.